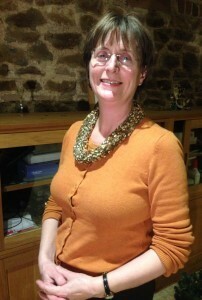 Mary Kidson BSc (Hons) is the owner of Smart Processing and the parent of a child with verbal dyspraxia. Mary first began to understand the benefits of cognitive learning and e-learning when it was recommended that her daughter should undertake a Fast ForWord® course by Great Ormond Street Hospital. After only a few weeks of home study, Mary witnessed a significant and life changing improvement in her daughter’s language and auditory processing skills. Mary, already a graduate in environmental science, became increasingly fascinated by the potential these therapies offered and she then began to her build her own expertise as a coach and training provider. This included studying with a London-based independent speech and language therapist who was already a registered provider of Fast ForWord®. In 2008 Mary gained full certification to deliver these therapies and established Smart Processing. Smart Processing provides Fast ForWord®, The Listening Program® and The Movement Program e-learning to schools and to children and adults across the UK. A professional, supportive and individual service is guaranteed at all times. Mary Kidson is fully CRB checked (enhanced); is registered with the Data Protection Act (1998) as a Data Controller and is a member of The Federation of Small Businesses. Having supported and coached my own daughter and seen the significant difference the The Listening Program and Fast ForWord® software can make, I knew that I wanted to share this knowledge with other people and help them make a difference. Now established as a key UK training provider, Smart Processing where ‘Fit Brains Learn Better’ is the result.’ – Mary Kidson. See feature on Fast ForWord in the Autism Eye magazine, spring 2011 issue.